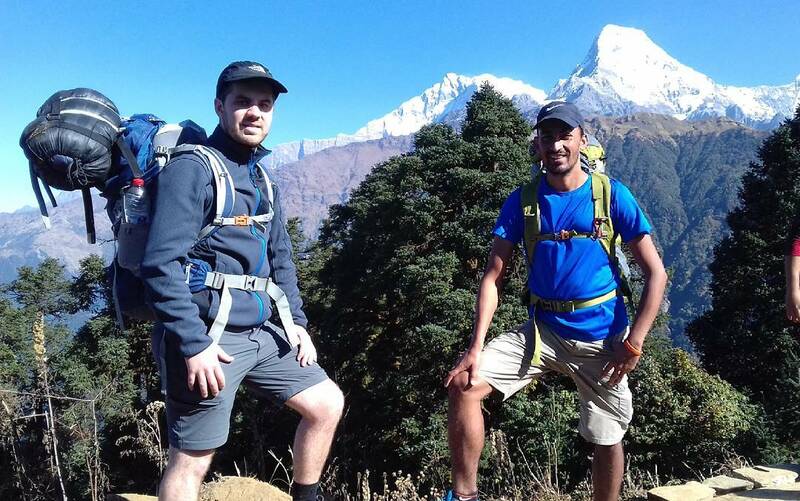 The Annapurna base camp trek is one of the more visually pleasing treks in the entire Himalayas. 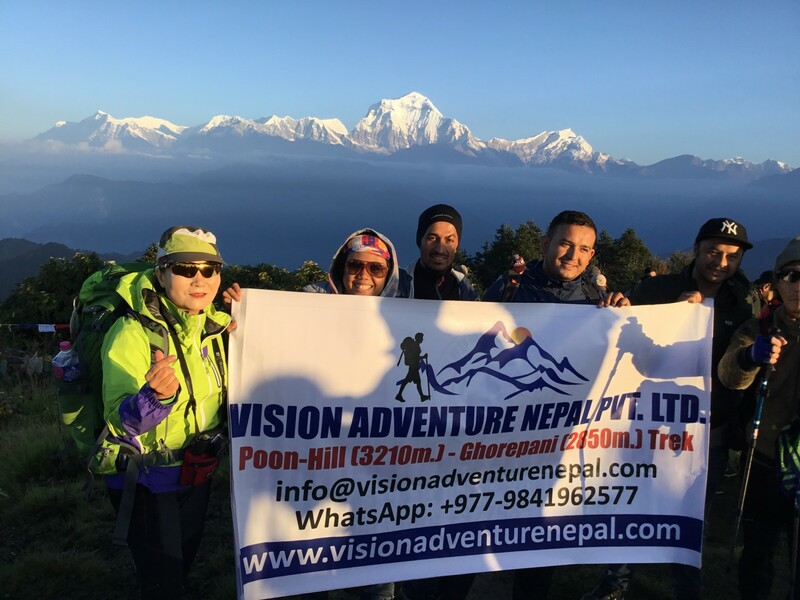 It brings you face to face with some of the world’s most formidable peaks – Machapuchhre (fish tail mountain), Annapurna South and Hiunchuli to name a few. A trail of various vegetation – from dense forests, fields of tall grass, to alpine landscapes – awaits those who embark on this thrilling adventure. 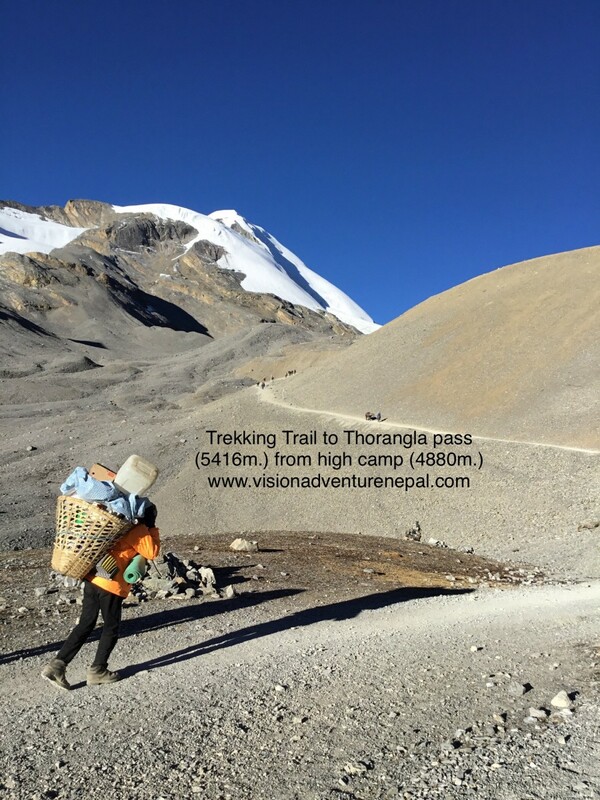 This trek is shorter in duration compared to other treks in the region leading up to the base camp. 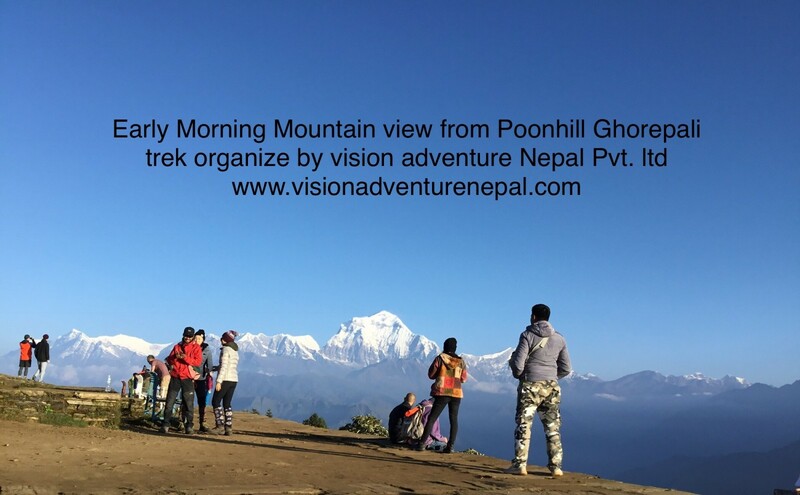 This, coupled with the trek’s stunning visuals, makes it perfect for adventurous souls who want to experience the fullness of the Himalayas but are restricted time-wise. From Tribhuvan International Airport, you will be transferred to your hotel in Thamel. 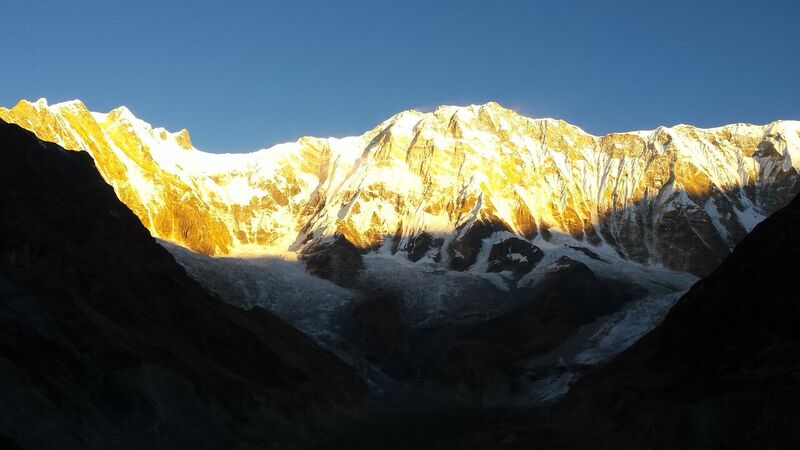 In the afternoon, you will have a short briefing about the trip and your Annapurna Conservation Permits and TIMS card will be provided. You will have some free time in the evening to explore Thamel and prepare for the trip the following day. 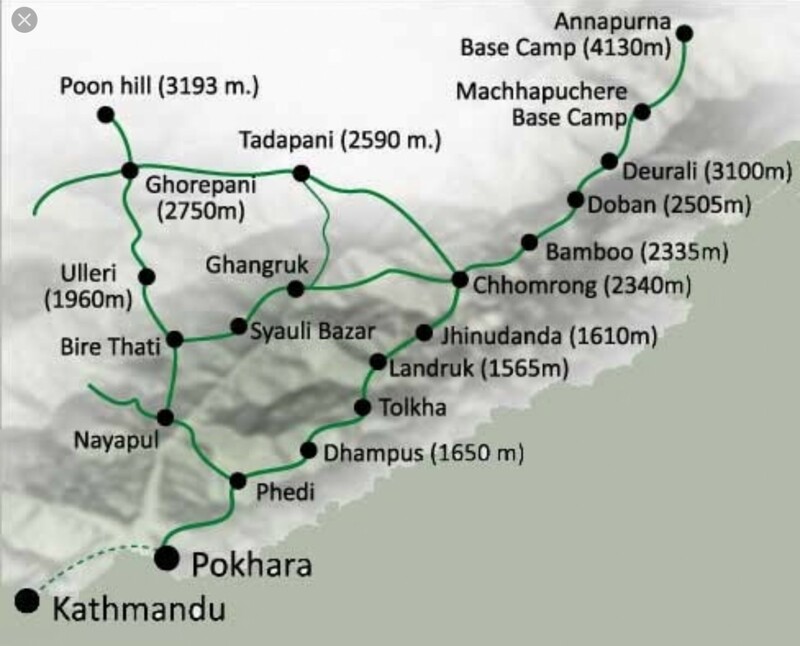 After a half an hour flight from Kathmandu to Pokhara, we will drive to Nayapul (1 hour) and start trek to Tikedhunga (1480m). Following the Modi Khola, village of Syauli Bazar (1140m), and Queme bridge, we will cross several rice fields and mountain settlements to reach the Jhinu Danda hot spring (1730m). We start the day by climbing a steep uphill trail to Taklung village (2190m) and further uphill to Chhomrung village (2210m), the last permanent settlement in the valley. The trail then descends through a stone staircase and crosses the Chhomrung Khola through a suspension bridge, then uphill to Sinuwa (2340m). We then go through a forest of rhododendron leading to Kuldi (2470m). The trek now enters the upper Modikhola valley. After descending a steep and slippery stone staircase, we reach Bamboo (2310m). This section of the trail is a bottleneck with very few lodges, so the goal is to get here early in the day. In the winter, it is very common to experience snow from this point on. From here, we walk for an hour to Dobhan and spend the night at a mountain lodge. From Dobhan, we pass through the Himalayan hotel (2840m) and Hinko (3100m), then to lodges located in Deurali (3140m), before finally reaching a cluster of hotels known as the Machhapuchhre base camp. 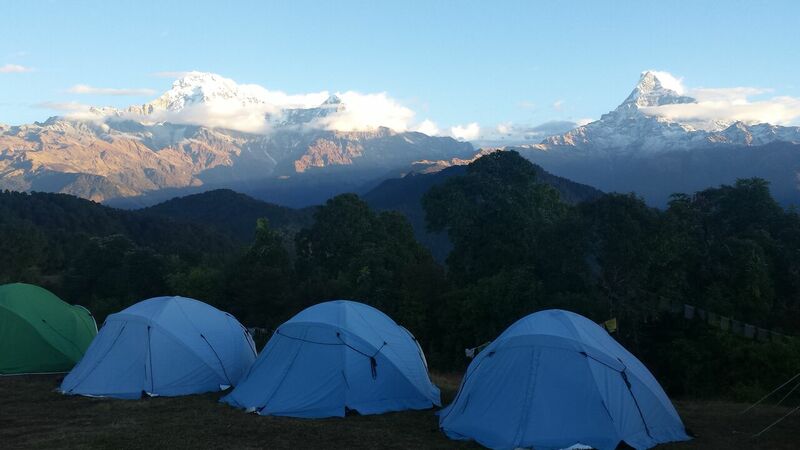 Here, you will get excellent views of Machhapuchhare, Annapurna South, Annapurna I, Annapurna III, Hiunchuli and Gangapurna. Altitude sickness may start to kick in from this point forward, so it’s best to spend the night here to acclimatize. 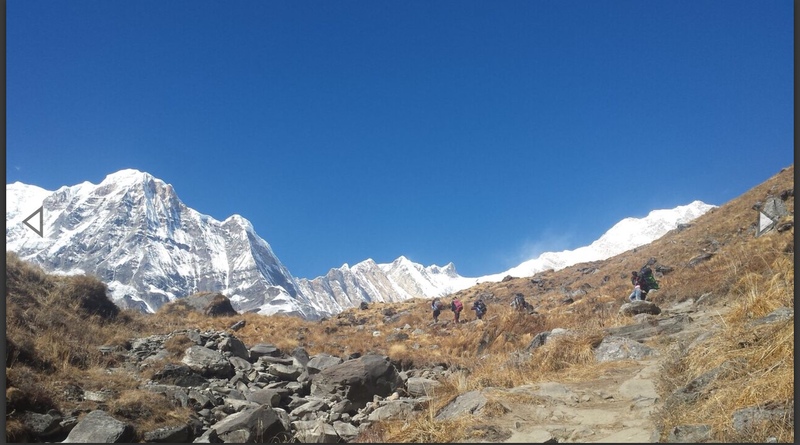 From the Machhapuchhare base camp, we take a further uphill trail leading to the Annapurna base camp at 4130m. The trek normally takes around 3 hours so it will be best to start walking early before the clouds roll in. From the Annapurna base camp, we retrace our steps to the Machhauchhare base camp, Deurali, Himalaya Hotel and finally to Dobhan where we stay overnight at a lodge. From Dobhan, we follow the trail leading to Sinuwa (2340m), which will take around 3 hours of walking through a Rhododendron forest and Bamboo. After a brief tea/coffee or cold drinks break in Sinuwa, we trek downhill to Chhomrung Khola, crossing Chhomrung Khola and uphill to Chhomrung village through a series of stone steps. After having breakfast in Chhomrung, we bid goodbye to the Modikhola upper valley and go straight to Kim Rung Khola. 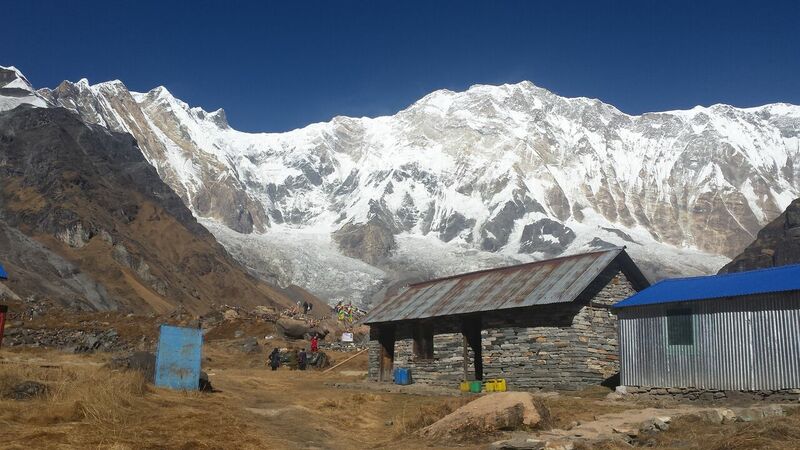 The first part of the trail is a rural mountain village that will directly lead us to Kim Rung Khola. We then follow the uphill trail to Kim Rung hill through a Rhododendron forest. 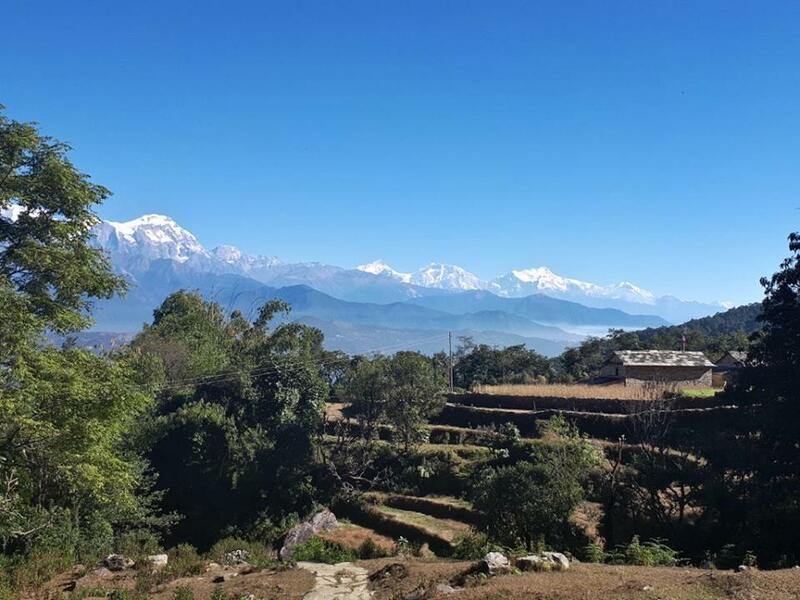 After a short break in the Kim Rung hill trail, we continue trekking to the beautiful Gurung village of Ghandruk. After a three hour downhill trek from Ghandruk, we reach some tea houses and continue our trek until Birethanti (1000m). Half an hour walk from here will lead us back to Nayapul where we start our drive to Pokhara via private transport. You may opt to have your flight to Kathmandu on the same day or spend the night in Pokhara.